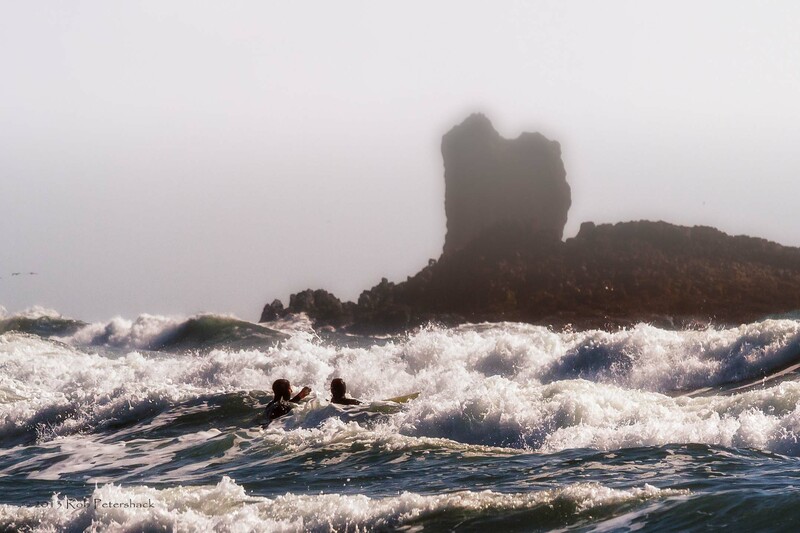 Not my way to escape, but these two swimmers seemed to be having a good time escaping by pushing the envelope in the rough waters off the Oregon Coast. Okay, there really is a Cannon Beach in Oregon and it is actually, at least on the bright, sunny, t-shirty kind of day that I was there, almost but not quite devoid of humans. I feel it is incumbent upon me to show you what every tourist book will tell you Cannon Beach looks like (except they will have better photos). One thing I had absolutely no time to do but also looked especially intriguing in counterpoint was walking through some of the gloomiest, moss-covered forest I have seen since the Lord of the Rings. It was just a few hundred fee away from the beach. 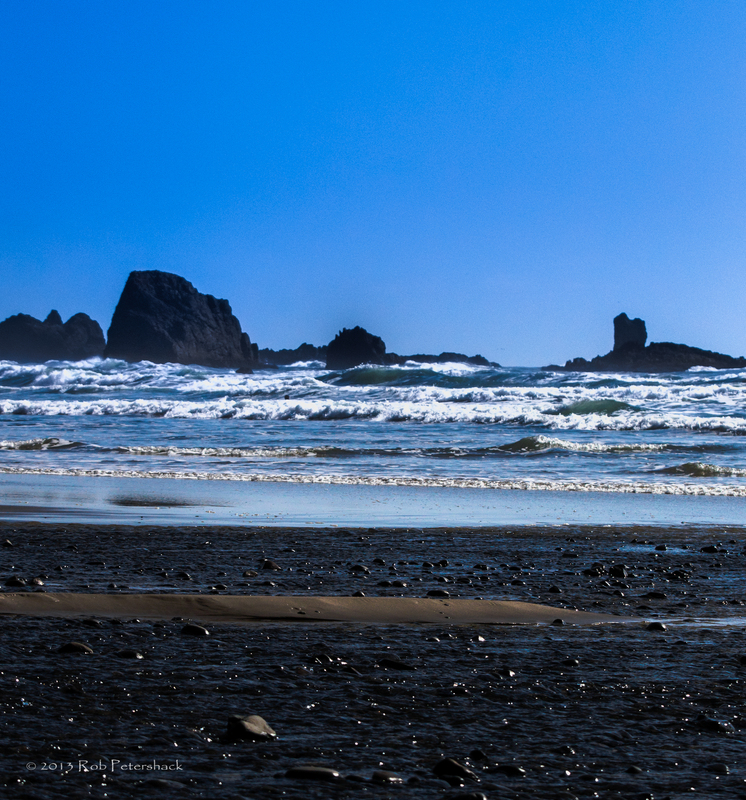 I am not trying to be funny – well of course that is not really true, I am trying have a little fun here – but Cannon Beach in Oregon is an interesting place. I could have spent a week there and ended up with a few hours, but they were nice hours and if there was too much to see how bad of a problem can that be? Of course Cannon Beach might be famous for a beach (the name is suggestive), but in this example the most we see of the beach is a little island of sand in a sea of rather unpleasant (at least to walk on) looking rocks (possibly intended to look that way as the water sort of oozes over them, but who can say:>). As with life, what you see so often depends on what you are looking for and if you were looking for the mondo beach here, hold off on your disappointment for just a few more minutes.